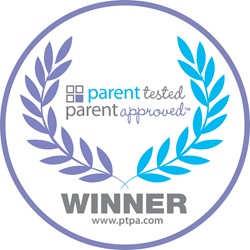 "Authenticity is the only currency that matters, and that comes from the assurance that other moms have experienced a product personally, and found that it met or exceeded their expectations"
Leading product awards organization, PTPA Media, today announced the latest round of recipients of the Parent Tested Parent Approved Seal of Approval. The results come after a thorough product approval process whereby parents (selected from a community of over 85,000 parent testers across North America) put products to the test in the context of their daily lives. "Ask any mom how she chooses which stroller to buy, what food to give her family, and which housewares to buy and she’ll tell you she trusts other moms more than brand marketing," said Sharon Vinderine, Founder and CEO of PTPA Media. “Over the years, there’s been a lot of trust lost between consumers and brands, which is why we’re seeing more scrutiny of brand marketing and claims than ever before,” explained Vinderine. "Authenticity is the only currency that matters, and that comes from the assurance that other moms have experienced a product personally, and found that it met or exceeded their expectations. PTPA’s Seal of Approval conveys this all at a single glance." Parents across North America participate in the testing process, at no cost to them. They evaluate the products with their families in real life environments rather than simply conducting a consumer vote. Their feedback and evaluations are carefully tallied and curated, and products that meet their standards earn the coveted PTPA Seal of Approval, which can be leveraged on packaging, advertising, end-cap displays, and more. News of the victory is shared among our community of over 75,000 families. Independent research by Research Now has confirmed that the PTPA Seal of Approval ranks among the top three most recognized seals in North America. PTPA Media certifies innovative products that families can trust. By connecting manufacturers with consumers, PTPA Media helps companies serve their markets better, and helps families identify products that have been tested and recommended by their peers. For more information visit http://www.ptpamedia.com.